Don’t lose your home. Stop your wage from being garnished. Stop the creditor calls. 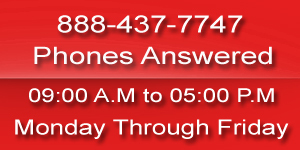 Speak with an experienced bankruptcy lawyer in Virginia today. Bankruptcy Law was created by Congress to help people who need help get a fresh start in life. If you need help with a bankruptcy in Virginia, it is important to work with a Virginia bankruptcy lawyer who is aware of the bankruptcy laws that are applicable to you. Now more than ever, with all the foreclosures taking place in Virginia, you need a Virginia bankruptcy attorney who understands how foreclosures work and how to best protect your home from a foreclosure. How your Virginia bankruptcy case is handled may make all the difference in the world as to how your life progresses from this potentially traumatic event. Don’t let someone who will not keep you informed as to the status of your case keep you in the dark. The relationship you have with your Virginia bankruptcy attorney during this very difficult period can have a substantial impact on your mental health. You need and deserve a lawyer who is looking out for you. You want a Virginia bankruptcy lawyer who will take the time to sit down with you and explain the process and why a particular strategy is being used. You want a lawyer who will listen to you and keep your best interests at heart. Bankruptcy is a legal means to get a fresh financial start. What it means is that an individual who cannot pay his bills or debts can use the bankruptcy to clear the bills and debts and start fresh. The federal court handles all the bankruptcy case. When you file a bankruptcy, all the creditors will stop collecting debts from you unless you sort your debts according to the law. It is a good way to get out of trouble. In Virginia, you can file four types of bankruptcy cases, the chapter 7, 11, 12 and the chapter 13 bankruptcy. Make sure that you also know about the Virginia bankruptcy before you choose one. Both these types of cases can pay almost all of your debts. It can stop the foreclosure of your property. (You should know that it will not eliminate mortgages). Bankruptcy stops debt collection harassment, wage garnishment. It will prevent repossession of property. It will also restore termination of utility services. When you file bankruptcy, it also allows you to challenge the claims that the creditors make against you. It will prevent the creditors who try to collect more than what you owe by fraud. What type of bankruptcy should I choose? The chapter 7 bankruptcy is also known as straight bankruptcy. It is also liquidation which requires the debtor to sell the property to pay the debts. You can file chapter 7 bankruptcy as an individual or as a couple. The chapter 11 bankruptcy is for those whose debt is very large. Most people in business use it. It is also known as reorganization. The chapter 12 bankruptcy is only for farmers. So, you should choose accordingly. The chapter 13 bankruptcy is also known as debt adjustment. It allows the individual to file a plan of paying his or her debts with the current income. Most of the times, people use chapter 7 or chapter 13. The idea of chapter 7 is to wipe out your debts in exchange for your property. You can only keep the exempt property. It is the property which you can keep according to the law. By law your entire property is exempt; you can sell the property which is not exempt. It may be not the right choice as the creditors can take over your property to cover your debt. It is a type of bankruptcy when you file a plan. Hire an expert bankruptcy lawyer in Virginia. The lawyer will help you devise a plan according to your current income. Chapter 13 is a great idea to get rid of all your debts in time. Make sure that you choose this type of bankruptcy if you own a home and you have no danger of losing it, also if you have a valuable property which is not exempt. Hiring a lawyer will make the process easy and quick. You will get a good chance for getting your finances stable when you hire a lawyer. How can a SRIS Law Group Virginia bankruptcy lawyer help you? First and foremost, we will discuss your case with you. We will explain to you the different options you have and the pros and cons of each option. We do not require clients to come in and sit down and talk with us. Certainly, our clients are welcome to come in and talk with us. However, we understand that clients are very busy and may not have the time to come to the client meeting locations. Therefore, we allow clients to consult with us by phone first and let the clients decide whether they need to come in and meet with their attorney. The SRIS Law Group Virginia bankruptcy lawyers have a thorough understanding of the bankruptcy laws and will guide you through the Virginia Chapter 7 Bankruptcy process, starting from preparing and filing the bankruptcy petition in Virginia, attending the 341 creditors meeting to obtaining a discharge from the bankruptcy court. Our Virginia bankruptcy lawyers and staff speak the following languages: Spanish (Espanol), Hindi, Telugu, Tamil..
With multiple client meeting locations in Virginia, we can help you with a Chapter 7 Bankruptcy in Virginia. Contact the SRIS Law Group P.C. Virginia bankruptcy attorneys to get the relief that you need and deserve. We Are a Designated Debt Relief Agency under Federal Law. We Provide Legal Assistance to Consumers Seeking Relief Under the Bankruptcy Code.